I had a very brief bout with infertility before getting pregnant with my son–just long enough to get a good taste of the intense mental battles that accompany this trial for many women. I have a good friend who has gone through it much longer than I, and she has an interesting perspective on the terms infertility and barrenness. There was something about the term barrenness that really bothered her. Infertility made her think of a field that needed to be fertilized–it needed proper nutrients to make it healthy again. But barrenness implied a much more stark reality–like a field had been given over and had no hope of use in the future. She shared all this during a discussion on the book Blessings of Barrenness, a rare book on infertility written by and for Christian women. I recommend it. My main criticism of the book is that it is poorly edited, which can be distracting as you read it. 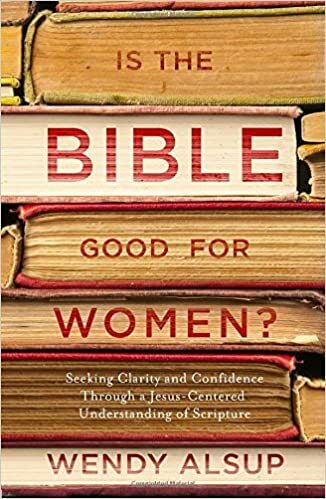 My neutral disclaimer of the book is that I don’t know the doctrinal background of the author, and there were a few places that I disagreed with a statement she made. I don’t know that I need to point that out, since all of my friends are discerning readers. But there it is anyway. Now on the good points of the book–well, everything else was good. 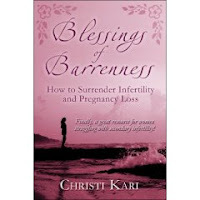 The author writes with hard-earned practical wisdom from her years of struggle with infertility. She well understands the struggles of this season of life. She shared the story of her crippling grief and the feelings of abandonment by God when the mother of the son they were soon to adopt decides to keep him after all. She has vast experience with others’ well-meaning but still hurtful comments. She knows the struggle of deciding how far to travel down the path of fertility treatments. She explains the painful situations well and writes with compassion. But she also points consistently to the One who is sovereign over it all and well able to sustain us in the trial. One thing I especially appreciated about the book is that she shares stories of women from a variety of backgrounds, including those experiencing secondary infertility (infertility after successfully giving birth previously). There were women who adopted, had successful fertility treatments, got pregnant miraculously with no intervention, and those who remained childless after deciding not to adopt. I appreciated their different perspectives. Another plus is that the book had good information on the ins and outs of fertility treatment options from someone who had been through many of them. So if you or someone you love is experiencing infertility and would like a first hand account by someone who has battled this with faith and confidence in her God, this book is a good resource. Most of us who have been there equally despise the terms infertile and barren, and I hope more Christian women will write on this topic. There is a serious lack of helpful resources from a Christian perspective on this topic.